Obituary for Dorothy M. Younkin | Graft-Jacquillard Funeral & Cremation Services, Inc.
Dorothy M. Younkin, 89, of Scottdale, passed away, Tuesday, May 15, 2018 at her home. She was born March 22, 1929 in Scottdale a daughter of the late Webster and Elma (Tedrow) Rath. 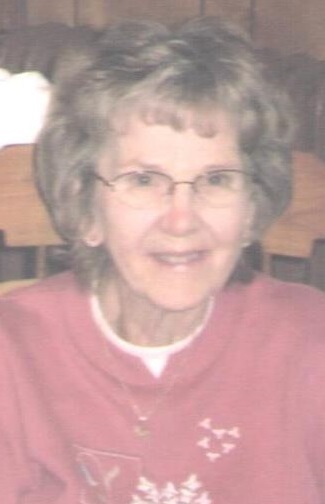 Dorothy was a loving homemaker who enjoyed time spent with her family and sitting on her porch taking in the outdoors. She was a member of Jacob’s Creek United Methodist Church and the Order of Eastern Star Chapter #205 Monessen. She had been a member of the former OES Chapter #383, Scottdale. She is survived by her loving and devoted children, her son, Terry L. Younkin and his wife, Mary Ann; her daughter, Donna S. Mesich and her husband Matthew; her daughter in law, Sandy Younkin; four grandchildren, six great-grandchildren and several step-grandchildren and step great-grandchildren; her sister, Joann Burkhart, as well as, several nieces and nephews and her pet cat whom she cherished, Flashy Boy. In addition to her parents, she was preceded in death by her husband, Irvin K. Younkin; her son, Gerald I. “Jerry” Younkin and five brothers, Jay, Clyde, Harold, Walter and James Rath.